Shafiqa Niaz is one of four Canadian women who received scholarships last year from Epiderma Esthetics, the largest network of medical esthetics clinics in Quebec and Ontario. Niaz was born in Pakistan, a society where women are marginalized. Promised into an arranged marriage and then rejected by her husband when she became pregnant with a girl, Niaz sought emotional refuge by working in a local beauty salon. After arriving in Canada, she continued to heal with the support of other women she met while training in cosmetics care. Founded in 2000 in Quebec City, Epiderma Esthetics has grown to 24 clinics, employing 140 people and serving more than 225,000 clients. Eleven years ago, Epiderma launched its scholarship program to help exceptional students who are interested in the esthetics industry. The organization chose to invest in the scholarship because “we wanted esthetics students to know our company, our vision, our products and services, and primarily to facilitate our recruitment,” says Valérie Dutil, Epiderma’s director of human resources. Since launching, 40 scholarships have been awarded. “We hired lots of them,” says Dutil. 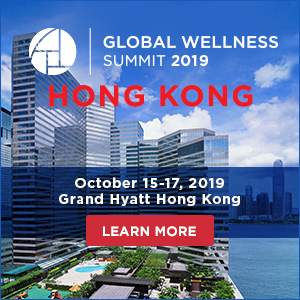 The scholarship is valued at $3,275, including a cash prize, a one-day workshop, products and services, and the opportunity to work at Epiderma upon completing their studies. That’s exactly what happened to scholarship winner Caroline Gallant, who was hired at the Epiderma clinic in Longueuil last July after completing her training. Technicians complete a mandatory, specialized training program that includes several weeks of paid practical and theoretical training, with intensive supervised in-clinic work and continuing education sessions that each network technician is required to take once a year. The qualifying exam was exclusively designed for Epiderma. The clinics deliver anti-wrinkle injection treatments, skin peels and microdermabrasion services, along with varicose vein, rosacea, skin tag and cellulite treatments, body sculpting, laser tattoo removal, hand rejuvenation and laser hair removal, in addition to an exclusive range of specialized cosmetics. At the root of its esthetics services is a medical team comprised of 14 physicians, ranging from physician injectors to phlebologists. The medical team trains and supervises the organization’s technicians. For scholarship winner Kristina Heebner, the company’s penchant for quality ingredients was likely a big draw. A budding chemist, she wanted to learn more about the properties and functions of the many active ingredients used in the production of esthetics products. Over 80 specially curated products are sold online by Epiderma clinics. These skincare lines are developed by international experts and are rich in active ingredients. To qualify for the Epiderma scholarship, students must be registered full-time in a vocational esthetics or electrolysis program delivered at a secondary school accredited by the Quebec or Ontario departments of education. To apply, applicants complete an online application available at the Epiderma website and attach the required documentation, including a 250-word essay on why they are interested in the esthetics field. The current call for the next round of Epiderma scholarships has an application deadline of March 15. Recipients are chosen by a selection committee composed of medical esthetic technicians, clinic managers and Epiderma’s Human Resources Director. Personalized attention to her clients makes all the difference for scholarship winner Alexandra Pruneau. It’s also a philosophy that comes alive at Epiderma, where expert advice and quality care have been the motivating factors for each of the 2.2 million treatments performed there since it opened. Much like a seedling as it first breaks through the soil and reaches to the sky, Enriched Med Spa only emerged recently and, by most standards, it’s small. But good things often come in small packages and this special little gem, occupying less than 1,300 sq. ft., is no exception. It offers a full spectrum of quality treatments delivered with a passion for client care and well-being, with a range of medical and aesthetic options such as Botox, dermal fillers, chemical peels and microneedling, administered by a well-trained and skilled staff. The size of the spa in terms of client numbers doesn’t really matter to founder/owner and registered nurse Richel Tumanguil. “I really believe in quality of work and taking the time to care for my clients – and building from there,” she says. Her journey has taken her from working and training in a range of Toronto-area spas to opening her own facility this past spring. A dazzling foyer, furnished in elegant white and crystal, welcomes clients to its three state-of-the-art treatment rooms. Originally trained by Allergan as a nurse injector, Tumanguil continues to aggressively pursue further certifications in injectables. As a regulated health professional, she is governed by the College of Nurses of Ontario and recommends that for treatments like these, it’s best to go with a certified and experienced professional. “In this industry you always have to take refresher courses because new techniques come out almost every day,” Tumanguil notes. 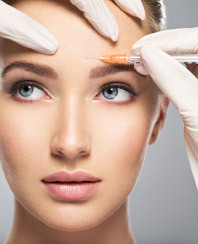 She recently attended an MD Codes conference, a technique developed by Brazilian plastic surgeon Dr. Mauricio de Maio, which pinpoints precise sites in the face for injecting dermal fillers for very natural results. “It’s not about taking away all the lines. It’s about aging gracefully and making sure you look like a good version of yourself, not different,” she says. Enriched Med Spa has several medical professionals on staff: two registered nurses, one registered practical nurse, three medical aestheticians and a medical director, all trained to administer a variety of treatments. Among the more sought-after of these is OxyGeneo, a revamped version of the oxygen facial. “With this treatment, we exfoliate the skin, oxygenate it and infuse active ingredients, using your own natural body processes,” Tumanguil explains. “When skin is healthy, it acts like a sponge and absorbs more active ingredients, with the result that skin glows for days – it’s great for right before parties, events and weddings.” Among a number of other state-of-the-art tools at the spa, there’s the Soprano XL diode laser for permanent hair reduction and BodyFX, a non-invasive method of targeting unwanted fat in large body areas. Tumanguil only carries medical-grade products, like Vivier Skin, because she says they are more effective and penetrate the skin more deeply. 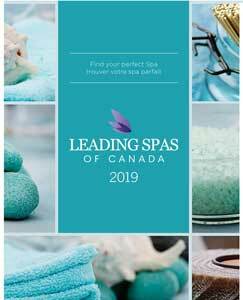 A recent ISPA report identified an increase in U.S. spa visits, something which Tumanguil has also noticed in Canada, particularly among young adults. She says it’s all about prevention and anti-aging. Treatments, like injections, are at last entering the mainstream. Like yin and yang, Ildi and John Arlette, MD – founders and co-owners of the Total Skincare Centre, a successful medi-spa in Calgary – complement each other perfectly. She commands the business of esthetics, he leads in the science of it. 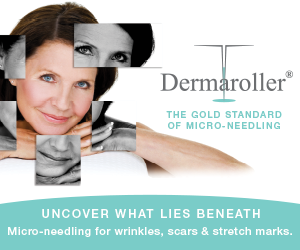 In 2006, Dr. Arlette collaborated with Dr. Martin Trotter for a groundbreaking study, published in Dermatologic Surgery, to demonstrate location of fillers within the skin. They looked at skin tissue to which hyaluronic acid filler had been administered before surgery, just before it was removed and immediately after its removal. The tissue samples were examined under a microscope to determine where the filler appeared within the skin’s layers. What the researchers found was that the deeper fillers were placed, the greater the lift. The study occurred at a time when people were becoming more aware of what could be achieved with fillers, and it helped change industry understanding of the technique’s potential, an evolution that continues today. “Now we can much more predictably look at where we can place the filler within the skin and the underlying tissue to make a physical change that enhances appearance,” Dr. Arlette explains. 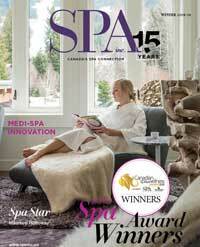 They admit, the landscape for esthetic clinics, medi-spas and spas has changed. “It’s getting more difficult to differentiate between a spa and a medical clinic,” says Dr. Arlette’s wife. “Spas now have lasers, injectables, silk peels – the nurse injector market has changed everything. Between 2005 and 2009, you couldn’t find a nurse injector to hire – and now the market has proliferated.” She estimates there has been about a 300 percent growth across the country in medi-spas that are opened by nurse injectors; as registered nurses, they are regulated by provincial nursing associations. Some of these spa facilities have medical directors on paper, but not necessarily on site, which Arlette says makes some facilities “less regulated” than a medi-spa owned and operated by a physician. “On the other hand,” she notes, “there are some nurse injectors running clinics that are just amazing.” She admits those smaller clinics “are giving some of these established clinics a real run for their money.